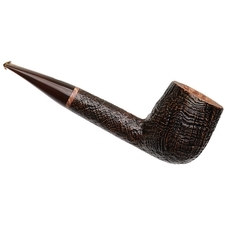 Typically, the Rinaldo brothers make straight Billiards that are either stubby, or long and lithe. 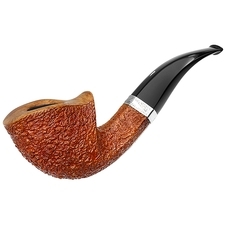 This piece, however, walks a middle road and falls squarely in the Goldilocks zone. 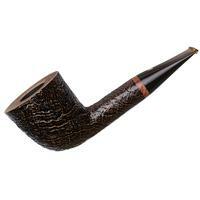 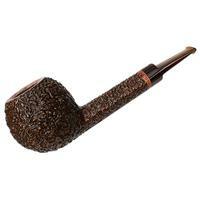 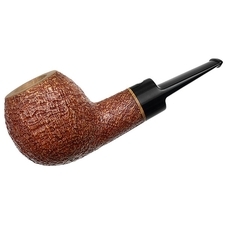 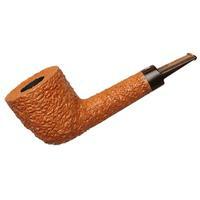 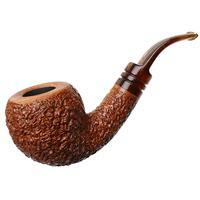 though it's a Tatania designated pipe, and therefore quite large, the proportions are traditional. 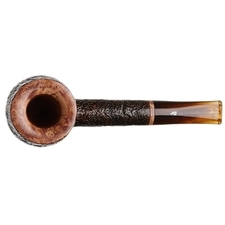 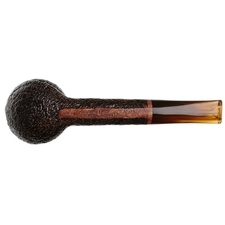 With a smooth rim and a band of smooth briar at the end of the shank, there's just enough contrast to emphasize the texture and color of the stummel, and the striated cumberland bit adds just a bit of subdued color to the overall presentation. 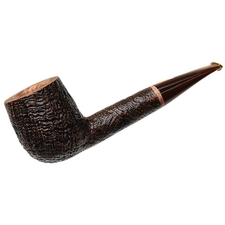 The firm heel is classically Italian, but somewhat understated for a middle-of-the-road silhouette. 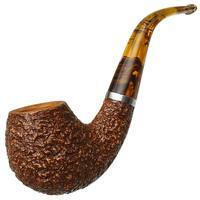 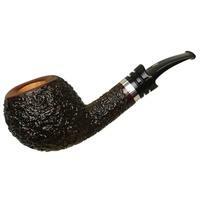 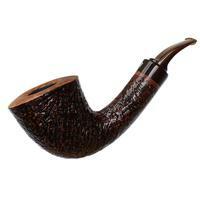 Lots of briar surrounds the chamber, and the hand wraps nicely around the bowl.